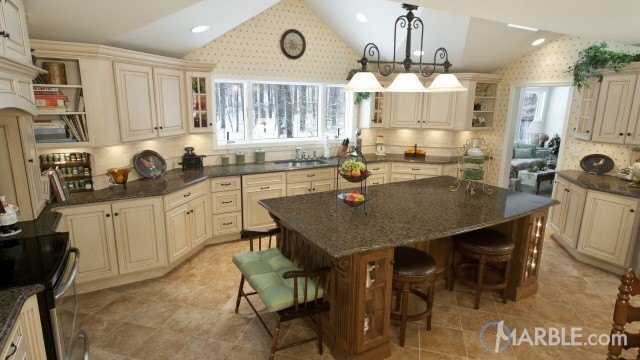 Tropical Brown granite has a coarse brown texture with a pattern of tan and black speckles. You can give your room a rustic edge with this marvelous natural stone. This beautiful natural stone is a great option for kitchen counters, bathroom counters, fireplace surrounds, home bar tops, commercial bar tops and outdoor kitchen counters.